Schreiber, G, Amin, A.K, Aroyo, L, van Assem, M, de Boer, V, Hardman, L, … Wielinga, B. (2008). 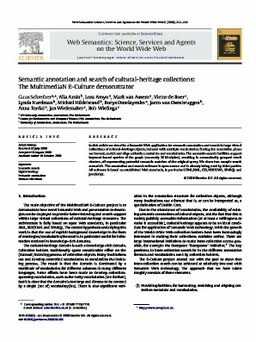 Semantic annotation and search of cultural-heritage collections: The MultimediaN E-Culture demonstrator. Journal of Web Semantics, 6(4), 243–249.